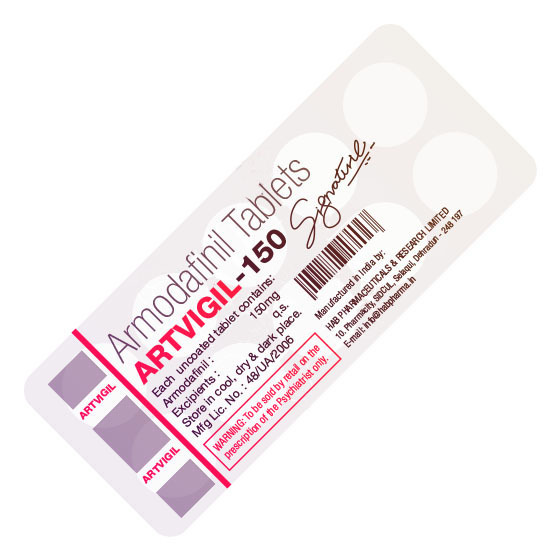 Each tablet of Artvigil 150 contains 99% of armodafinil. Armodafinil (Artvigil) is modification of another popular non-amphetamine stimulants called modafinil. Artvigil and Waklert are the most popular armodafinil brands in India. Artvigil 150 price varies from 0.63/pill when making bitcoin payments up to 2.2$ / pill wjile making small orders. Modalert of 200 pills for 199.00 USD.